You, Sir are living in a historic time. Post-truth politics gets carefully manicured through fake news and propagated bigly via an echo chamber. By my guesstimate, everyone’s favorite bête noire is the overuse of the word ‘disruption’. There’s no reason to get your dandruff up. 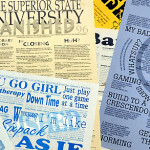 During a town hall meeting, Lake Superior State University (LSSU) released its 42nd annual “List of Words Banished from the Queen’s English for Misuse, Overuse and General Uselessness”. 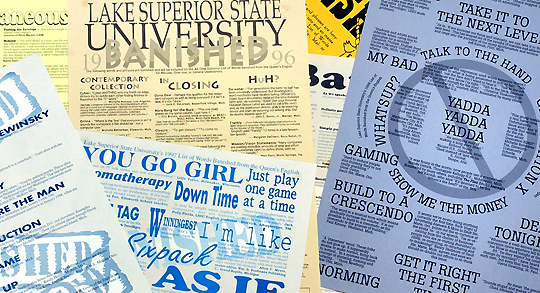 Over the years LSSU has received tens of thousands of nominations, resulting in almost a thousand banned words. Before you ghost this blog, add a comment describing what word you think should be banned. This blog was originally posted on Manage by Walking Around on January 15, 2017. #OnFleek is the new slang word often used on social media platforms. Click here to check out what it actually means.